Live on the Water. Love Life. Over 27 years ago, Phil Welch and Jack McAvoy along with their wives recognized that vinyl dock products had a great future along the lakes and riverbanks of Northern Michigan. They began operations in a small building and pioneered the design and fabrication of vinyl dock products. They soon found that engineering and fabricating Brock Dock was exactly what they thought it would be...a business that people needed all over Northern Michigan. Today, Michigan Lake Products is still a family owned business with two locations in Indian River and Elk Rapids. MLP has expanded its vinyl dock lines to include Gorilla Dock, Royal Dock, and Classic Dock. Also offered are a wide variety of dock accessories, most being designed and fabricated right here in Northern Michigan. Along with their dock lines, MLP offers a wide variety of boat lifts and boat lift accessories. MLP has expanded into the park and recreation markets with its patented ADA WALK Beach Walkway System and accessories. Providing people with disabilities the ability to use and enjoy our public beaches all across this Great Nation. Michigan Lake Products was and still is the Premier Dock Manufacturing Company in the North and continues to build on the reputation of making available high quality products with second to none customer service. 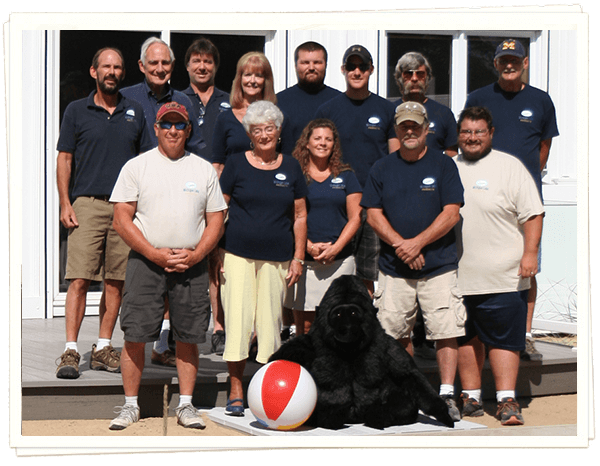 We service many lakes including Mullett Lake, Burt Lake, Lake Charlevoix, Walloon Lake, Crooked Lake, Elk Lake, Torch Lake, Lake Leelanau, and the Grand Traverse area, just to mention a few.